In late August, my son rode up to Colorado Springs from his home in Austin. We decided to take a trip to Rocky Mountain National Park via the "scenic route". Here is a photographic record of that 450 mile trip. 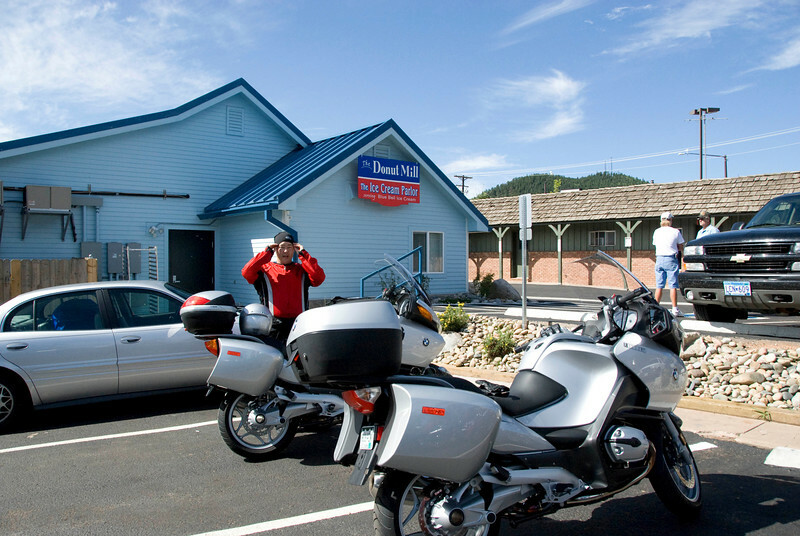 We rode up US 24 to Woodland Park where we stopped at the Donut Mill for calories. Great pastries.